The Spindle Mattress company is a mattress I had the please of testing last fall. This mattress is comprised of pure latex, no memory foam to be found at all in it’s layers. In fact, from my online research it’s one of the few recent bed-in-a-box companies to only offer a latex mattress. The company definitely focuses on quality materials, which is evident in it’s pricing, warranty and website content. Read on to see my complete thoughts on what this mattress company has to offer. Spindle’s unique proposition is that their mattress is made from natural materials – a latex mattress with an organic cotton cover. A somewhat refreshing perspective in the online mattress market. The layers of the Spindle are comprised of Natural Latex. What makes this product different however, is the fact that each layer of the mattress comes shipped individually! You have to put the mattress together yourself! I was quite surprised when I first saw this. Each layer I had to remove from the packaging, then lay it upon the next (the correct sides facing up) then wrap the entire thing in the mattress cover. This was no easy task – each layer is heavy. The entire bed all together is very heavy. Moving it is quite a chore – make sure you’re prepared for this if you live alone. Each layer is labeled appropriately: soft, medium, firm, etc. I tested the “medium” firmness mattress which had one firm layer (as the base layer) and two medium layers. As I said, I tested the “medium” firmness Spindle. You can purchase it in Soft, Medium, Firm, and Extra Firm. Full disclosure: I have never slept on a latex mattress for any considerable length of time before sleeping on the Spindle mattress. My honest thoughts about latex after sleeping on this mattress is that it’s not for me. I slept on this mattress for almost two months. While I didn’t sleep all that bad, I found the firm model to be too soft for my liking. I guess it’s better stated that the support I received from it wasn’t quite enough. Tossing and turning during the night was almost a chore as I felt myself having to push off the mattress in order to roll over. Like I said, this didn’t affect my sleep too much but it was enough for me to want a change at the end of two months. I have recently spoken with plenty of people about their experience with latex mattresses and the general consensus is all over the map. Some folks love latex and swear by it. Others can’t stand latex and the way it feels. Personally, I found latex to be too soft and “squishy” for me. The rebound that latex has incredible – no indentation is left on the mattress right after you press into it. It instantly springs back into place. The comfort of the Spindle mattress feels great at first. To me it’s a bit on the soft side at first but you get used to it. If there’s anything I would suggest about this mattress is to err on the firm side. Having a mattress that is too soft can wreak havoc on your nights. Overall, the comfort of this mattress is decent – if you’re a fan of latex then I’m sure you’ll love the way this feels. The motion transfer was actually not great for me and my spouse. We could easily feel the bed move when one of us was tossing or turning during the night. I was surprised at this since I thought the latex would really absorb motion, but it doesn’t really absorb it like foam – it almost returns that motion back to you. Another thing to note on the Spindle – side support. If this is important to you, then you might want to contact the company and ask them what you can do about it. The medium model that I tested did not have any side support at all. It sunk right down. Now, this isn’t that big of a deal to me but I have seem some consumers across the web that want side support so they can put their socks and shoes on while sitting on the edge of the bed. When considering the pricing of the Spindle mattress you’ll want to take a look at other high end latex mattresses. Latex is naturally going to be more expensive than foam or spring mattresses. In relative comparison the Spindle is offered at a good, fair price. However, if you’re comparing it to the other bed-in-a-box companies on the market then you’ll be in for a shock at these prices. Spindle offers a 10 year warranty. 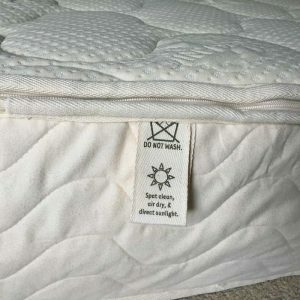 Basically, if you have some kind of claim within the first 10 years of owning the mattress, then the defective materials will be replaced at no cost to you. 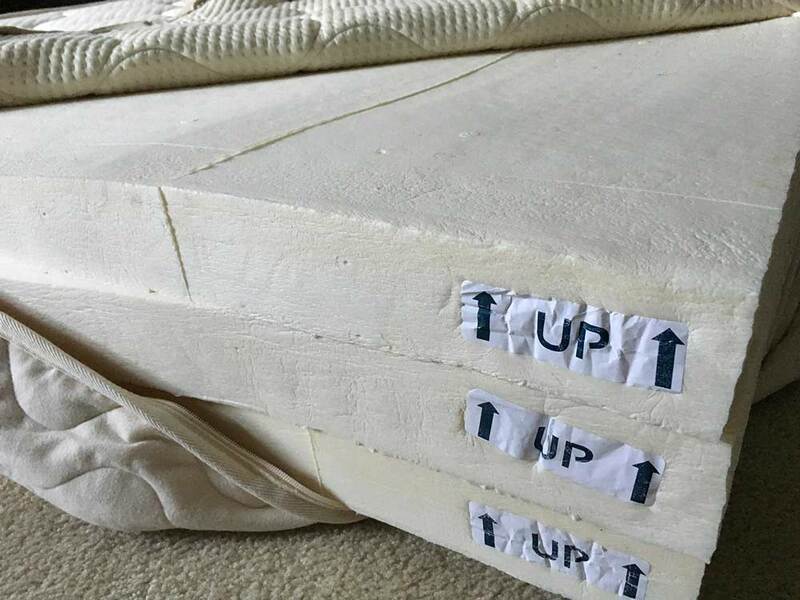 Their website states that if the mattress has more than 3/4″ sag they will replace it. This is actually quite good considering most memory foam mattress companies give you 1″ of sag before you can file a warranty claim. 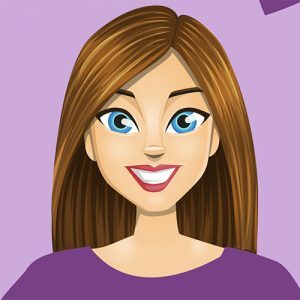 Spindle Mattress has a unique refund process. Most bed-in-a-box companies have a 100 night guarantee – whereas the customer can have a full refund if they don’t like the mattress within 100 nights of purchasing. Each company I have come across offers a slightly different variation of a trial period, but 100 nights seems to be the standard. Well, Spindle takes a different approach. They offer a “365 Day Comfort Adjustment” along with a return policy that refunds you your money minus $299.99. The “365 Day Comfort Adjustment” lets you change out one layer of your mattress for a $200 charge. You get to keep the existing layer in case you want to swap it out again. I suppose this is a decent policy but definitely doesn’t offer the flexibility to return the mattress without any commitment. Even if you really don’t like the bed, you’re still out $300. Shipping is included in the price of your Spindle. Each layer comes shipped in separate boxes, and they are quite heavy. Latex in general is a heavy foam so make sure you’re prepared to lift some heavy weights once you get your mattress. Overall, my conclusion on the Spindle Mattress comes down to this – if you love latex, then this mattress is for you. If you’re on the fence about latex then my suggestion is to feel a latex mattress before you invest. The feel is very unique and in my opinion is an acquired taste. To learn more about the Spindle Mattress, visit the Spindle Mattress website. If you like latex, this mattress is for you. The quality and materials are top notch. The price is high, but you get what you pay for. The comfort and how latex sleeps is not my cup of tea. It's a bit on the soft and unsupportive side.